Australia Solar + Energy Storage Congress & Expo 2017 is the largest congress focusing on solar and energy storage market in Australia. It will take place in Brisbane Australia on December 5-6,2017. 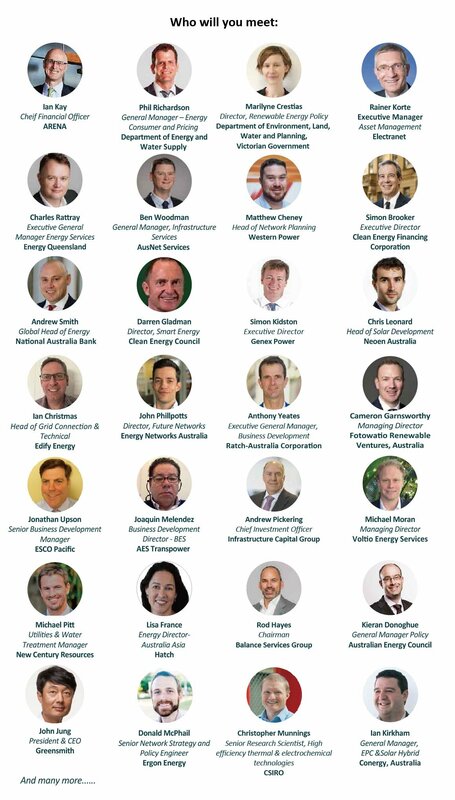 Participants from governments, policy makers, investors, financers, utilities, developers, network providers, solar & energy storage products manufacturers, consulting companies, associates as well as other related sectors are invited to together discuss applications, opportunities, and challenges for solar and energy storage development in Australian market. • Financing issues for renewable energy projects.